The waterproof, robust immersion/penetration probe (TC type K) with metal protective tube is ideal for measurements in a harsh environment. The waterproof, robust immersion/penetration probe with heat-resistant cable can be used up to a temperature of +230°C - e.g. for temperature control in hot cooking oil (in combination with the appropriate measuring instrument). 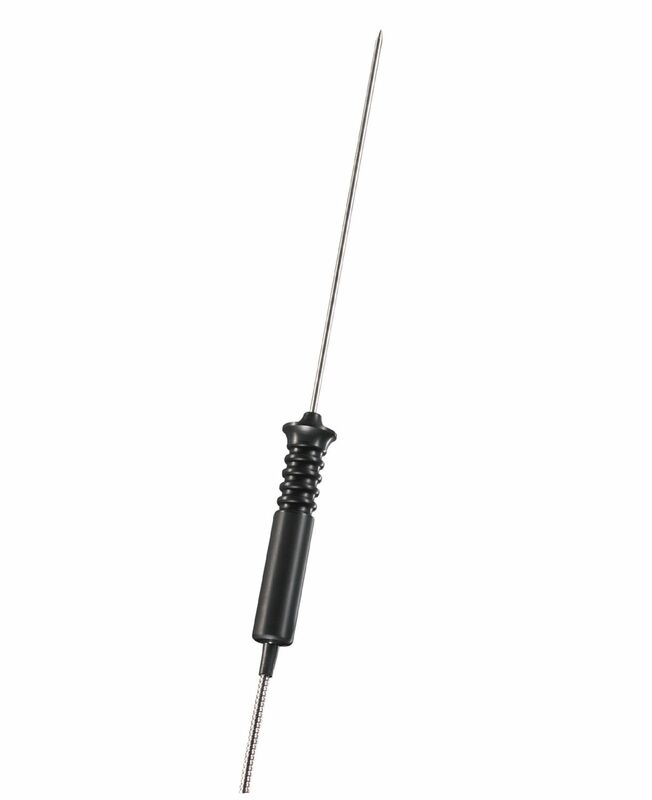 1 x waterproof, robust immersion/penetration probe (TC type K) with metal protective tube. 2) According to standard EN 60584-2, the accuracy of Class 1 refers to -40 to +1000 °C (Type K), Class 2 to -40 to +1200 °C (Type K), Class 3 to -200 to +40 °C (Type K).